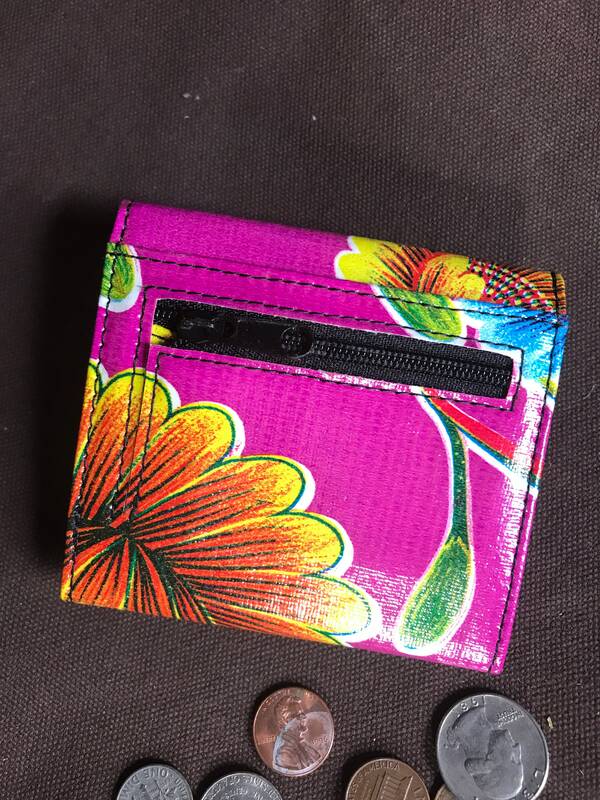 Our French purse style wallet is a fun bright accessory you can carry all year round. 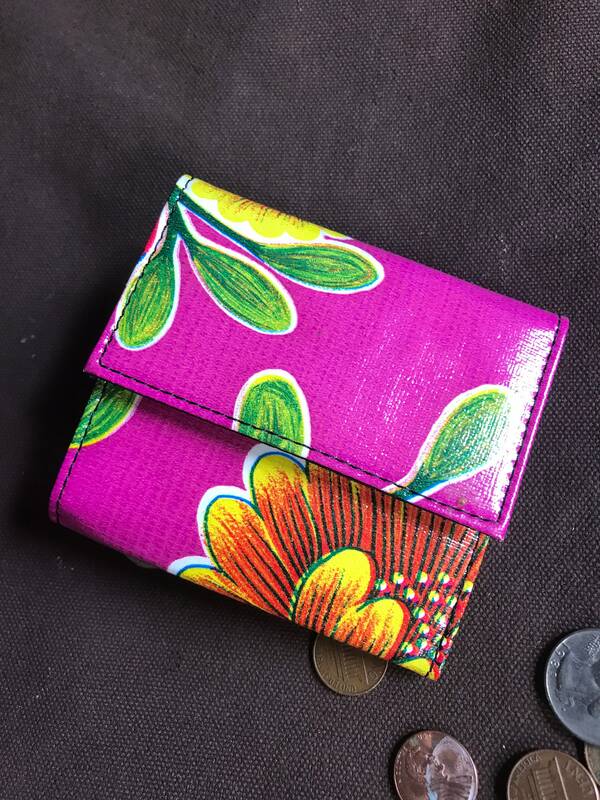 The purple floral oil cloth pattern will make you smile whenever you pull it out. 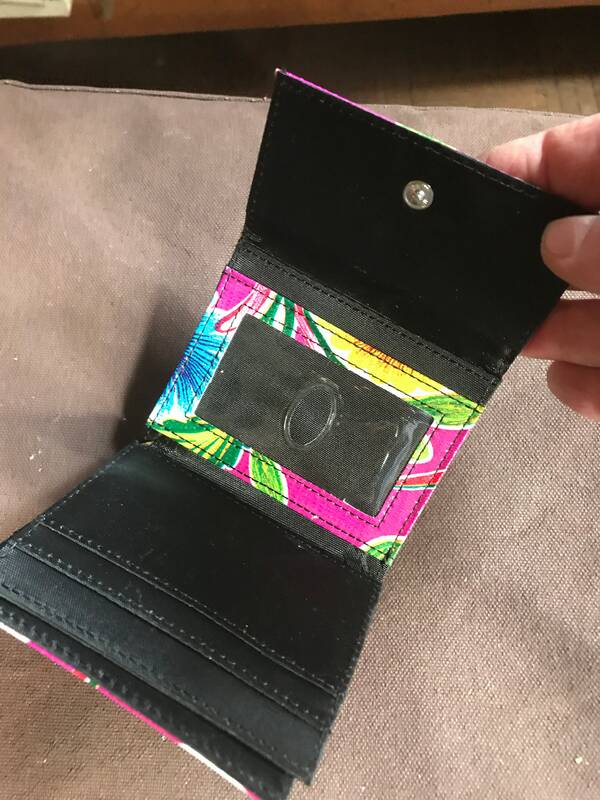 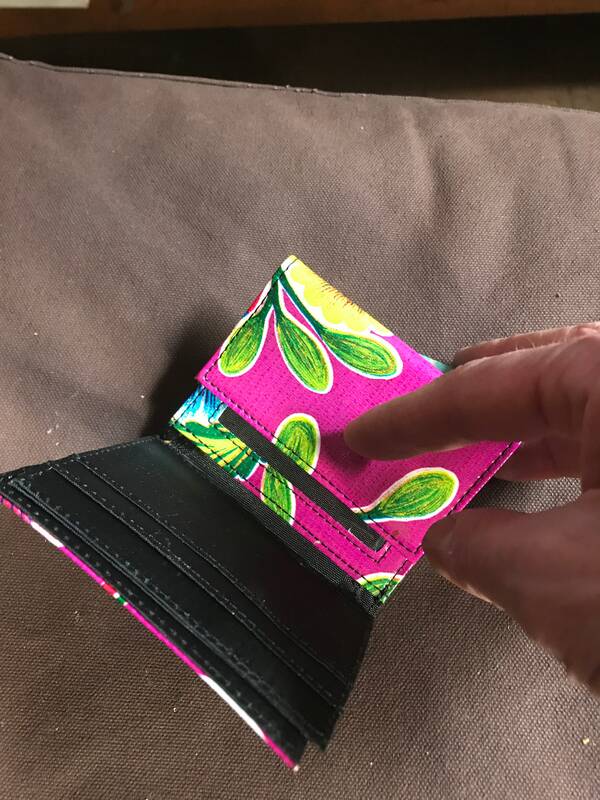 This wallet features ample space to hold plenty of credit cards, a bill fold, a clear plastic id slot, and a zippered change pocket on the back,and a snap closure. 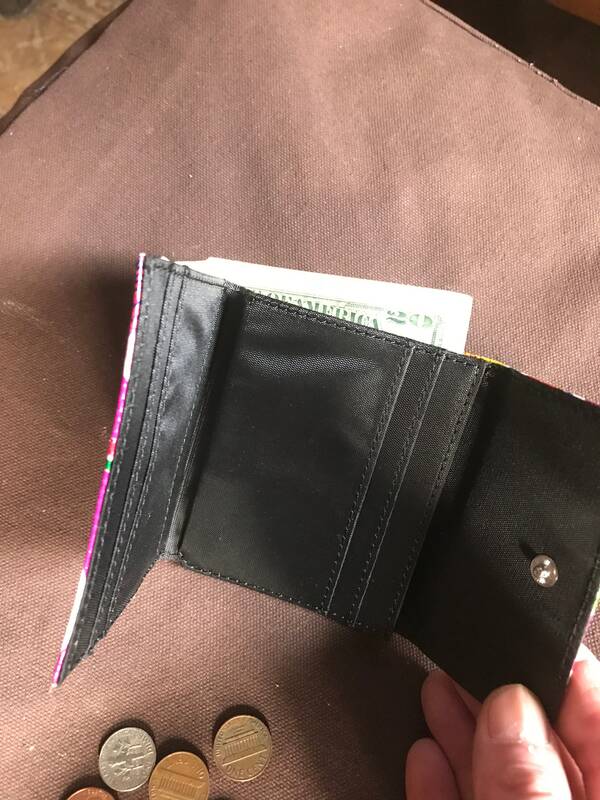 We like this wallet design because it holds a lot but is still compact and fits well in your jeans pocket. 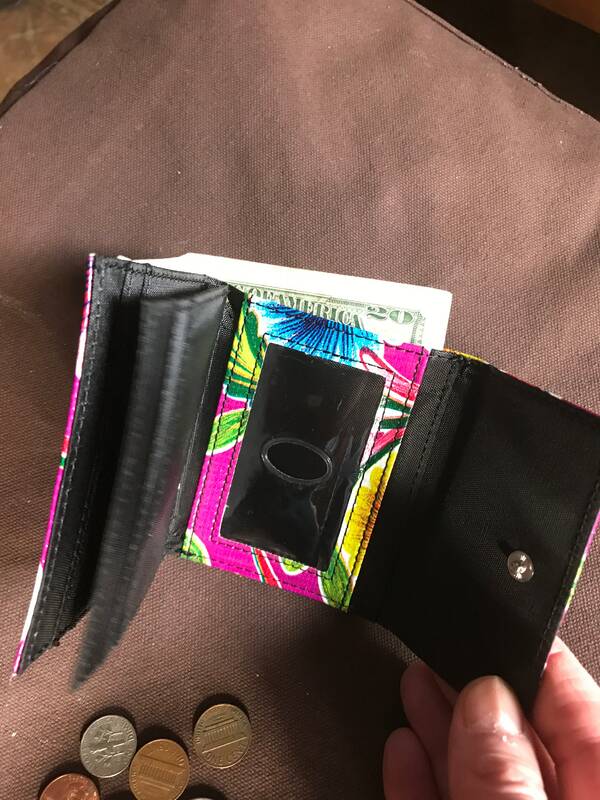 The pictured wallet is the one you will receive.